Go to the +/- curser in the bottom right hand corner. Enlarge and drag area you wish to look at. 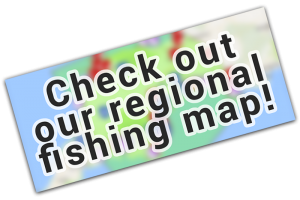 Highlight a map mark and select “more details” for entry into web site or Facebook page. South Coast: Shore Banjo Pier, boat departure Looe – Shore Portland Bill boat departure Weymouth.